Last night, when the Super Bowl lights went out as a result of the power outage at the New Orleans Superdome both Oreo and and Duracell were quick to create conversational content. As viewers across America turned to social media platforms to discuss what was happening, these brands used the opportunity to participate and create attention. 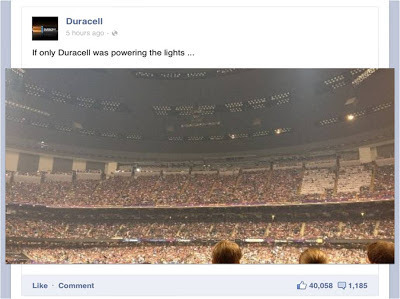 Both Oreo and Duracell acted in line with their brand tone of voice and joined the Super Bowl lights out / power cut conversation in a very relevant way gaining significant coverage as a result - Duracell gained over 40,000 Likes and the Oreo Superbowl post was shared over 6500 times. 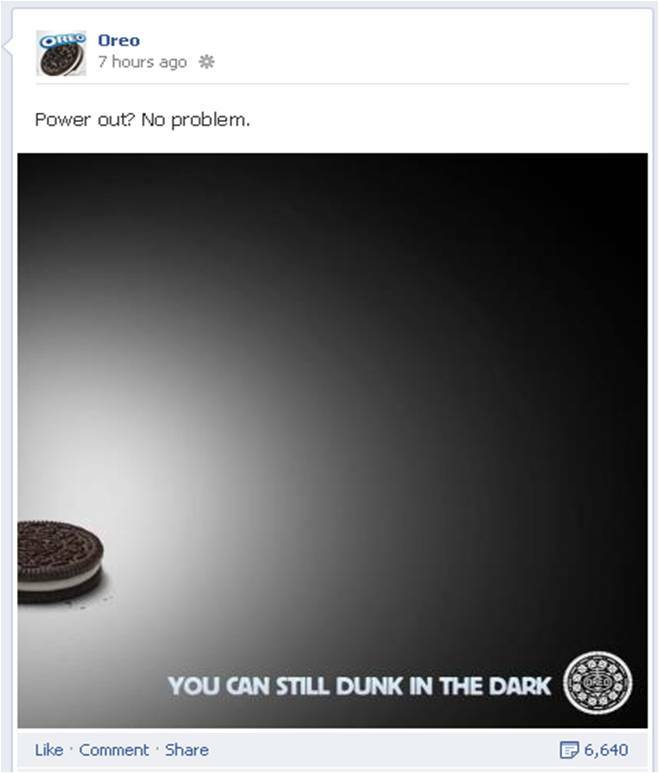 There is always a difficult balancing act in creating content around a major event (permission / sponsorship rights etc) but I think in acting quickly around the Super Bowl power outage both Oreo and Duracell have been able to generate significant attention and engagement.